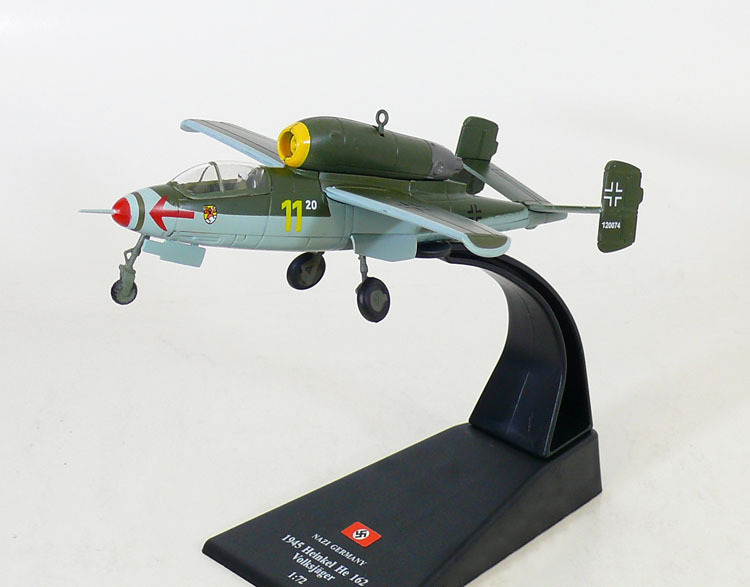 The Heinkel He 162 Volksjäger (German, "People's Fighter"), the name of the project of the Emergency Fighter Program design competition, was a German single-engine, jet-powered fighter aircraft fielded by the Luftwaffe in World War II. Designed and built quickly, and made primarily of wood as metals were in very short supply and prioritised for other aircraft, the He 162 was nevertheless the fastest of the first generation of Axis and Allied jets. 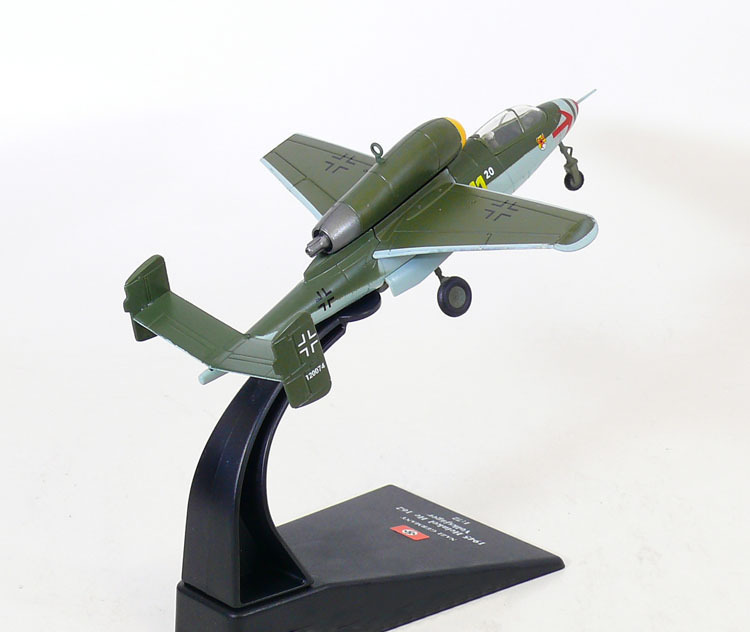 Volksjäger was the Reich Air Ministry's official name for the government design program competition that the He 162 design won. Other names given to the plane include Salamander, which was the codename of its construction program, and Spatz ("Sparrow"), which was the name given to the plane by Heinkel.